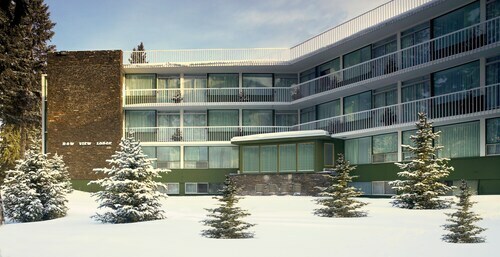 Located in East Kootenay G, this eco-friendly hotel is within a 10-minute walk of Canadian Ski Museum West and Banff Lake Louise Tourism Bureau. 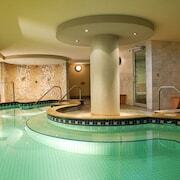 Banff Centre for Arts and Creativity and Upper Hot Springs are also within 3 mi (5 km). Banff Station is 5 minutes by foot. 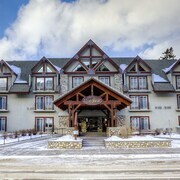 Located in East Kootenay G, this hotel is 1.1 mi (1.8 km) from Bow Falls and within 3 mi (5 km) of Upper Hot Springs and Banff Gondola. Banff Station is 6 minutes by foot. 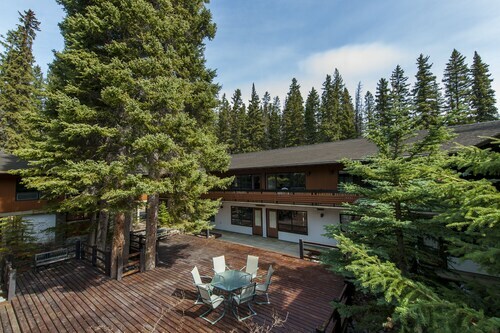 Located in East Kootenay G, this hotel is within 1 mi (2 km) of Banff National Park Information Centre, Banff Centre for Arts and Creativity, and Banff Lake Louise Tourism Bureau. Tunnel Mountain is 2.2 mi (3.6 km) away. Banff Station is 20 minutes by foot. 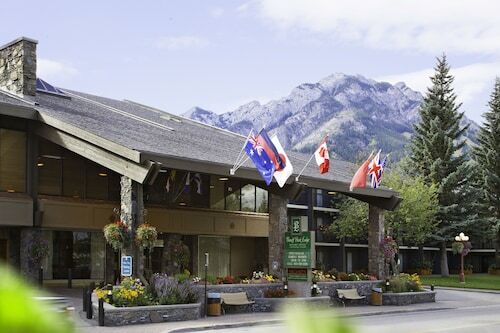 Located in the Canadian Rockies, this Banff hotel's quiet location is 2 blocks from Banff Avenue shopping and museums, 1 block from the Bow River and is close to skiing and hiking . 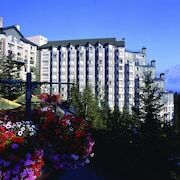 How Much is a Hotel Room in Banff? 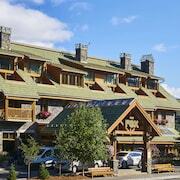 Hotels in Banff start at C$73 per night. Prices and availability subject to change. Additional terms may apply. 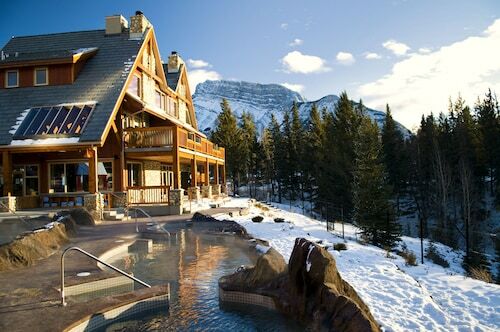 Skiing heaven awaits you in the Alberta Rockies of Canada! 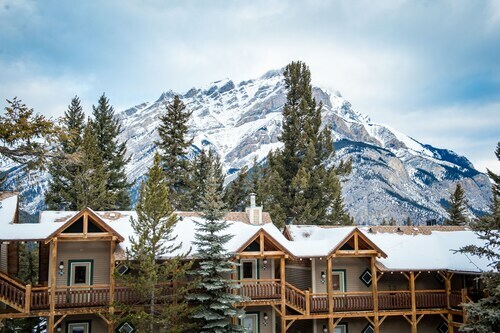 Banff hotels cater to the winter sports crowd, and this small town is built for the winter influx of thrill seekers on the slopes. When you finish a long day skiing, the town awaits with dining, entertainment, hot springs, and cozy resorts, where you can sip hot cocoa and warm your bones. 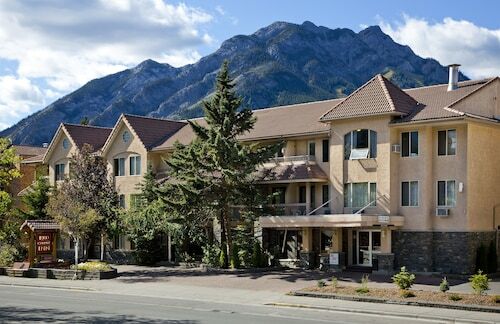 Whether you're looking for a small Banff hotel cottage or 4 star hotels in Banff, this town has something for you! 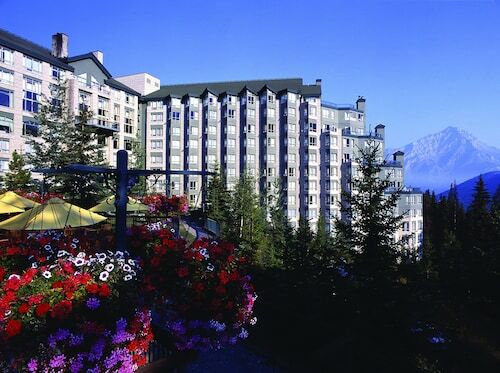 Banff is a winter town swelling with pilgrims to the snowy sports mecca. With the Lake Louis Skiing Area, Sunshine Village, and Mt. 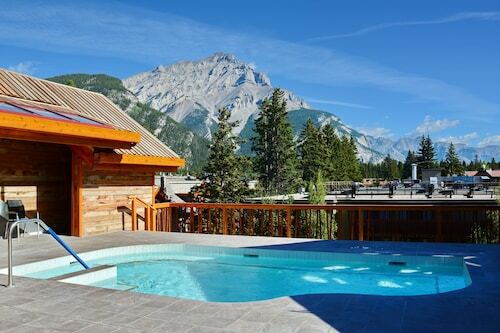 Norquay providing terrain for skiers of every skill level and ambition, hotels near Banff provide some of the best skiing in the world only minutes away. Enjoy hiking? Take the trip to the summit of Sulphur Mountain and catch the Banff Gondola down, enjoying breathtaking views as you go. Feeling adventurous? The Rat's Nest Cave has remained untouched by walkways or artificial lights, so it's a fun exploration below the earth. 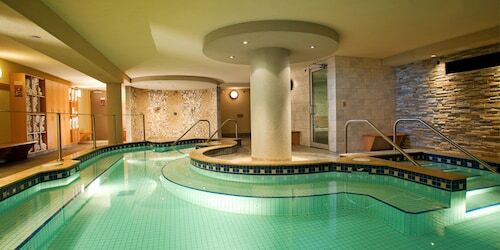 After a day of activity, sooth your muscles with a soak in the Upper Hot Springs, where bathers have relaxed for over a century. 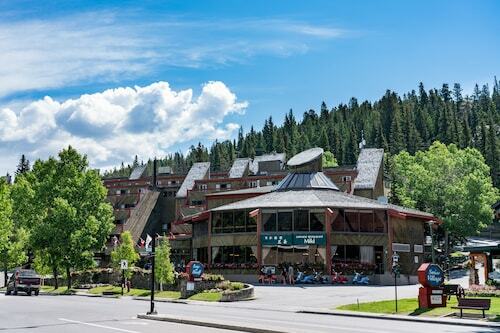 Feed your hungry stomach with a meal from one of the many steakhouses up and down Banff Avenue in downtown. Hearty meals will warm your bones in a cozy atmosphere, and you can wash it down with a glass of fine wine or rich beer. 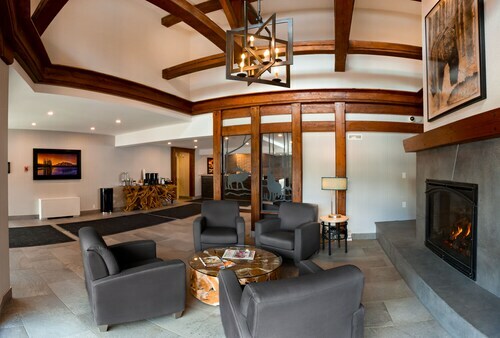 Find yourself in a local watering hole where the decor reflects the location and dark wood furnishings make you feel comfortable. 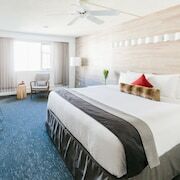 So pack your sense of adventure and save up to $537 when you book a hotel and flight at the same time with Travelocity. 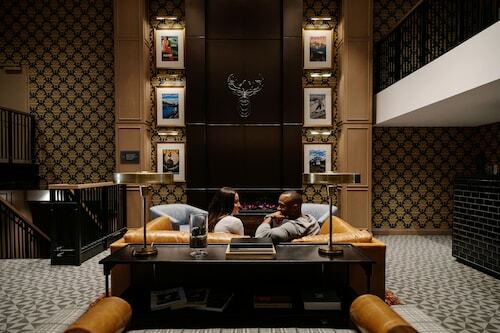 We had a one bedroom suite and it was just perfect. 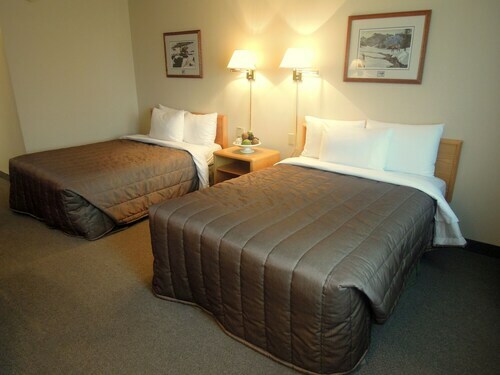 Nice separate bedroom with comfortable living room and two tv's and a kitchenette. The proximity to town was wonderful for walking in for dinner, etc. The lodge was beautiful and the rooms were very clean. Was a little disappointed that the hot tub was under construction as it was -25 on the last 2 days we were there. The heat quit working in our room in the early morning of our last day there. It was minus 40-50 with windchill but luckily we had the fireplace that helped a lot. Overall, great place and will be coming back this summer. I have to say I have never met a nicer bunch of people as we did at the lodge. They go out of their way to make your stay enjoyable.